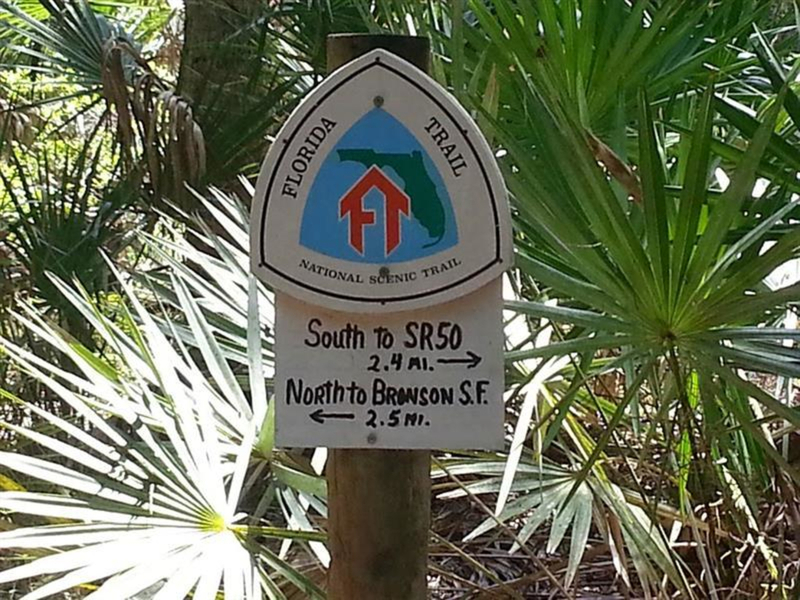 Interested in taking a short backpacking trip along the Florida Trail? If so, Seminole State Forest is a great option close to Orlando. 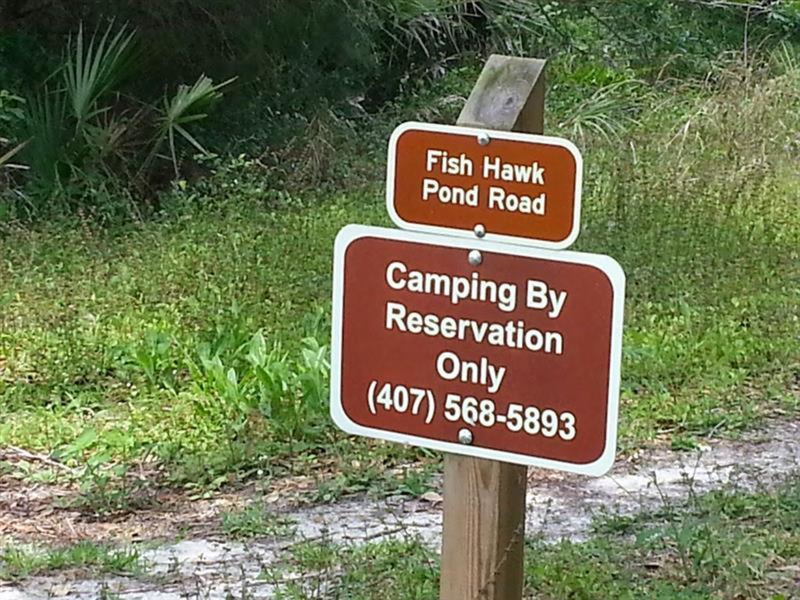 With 3 primitive campsites located along the Florida Trail and 5 other campsites throughout the forest you’re sure to find the right spot to camp as you make your way along the trails. The main hiking trail in Seminole State Forest is an 8 mile stretch of the Florida Trail between Bear Pond Trailhead, in the southern section of the forest, and the Cassia Trailhead in the north. 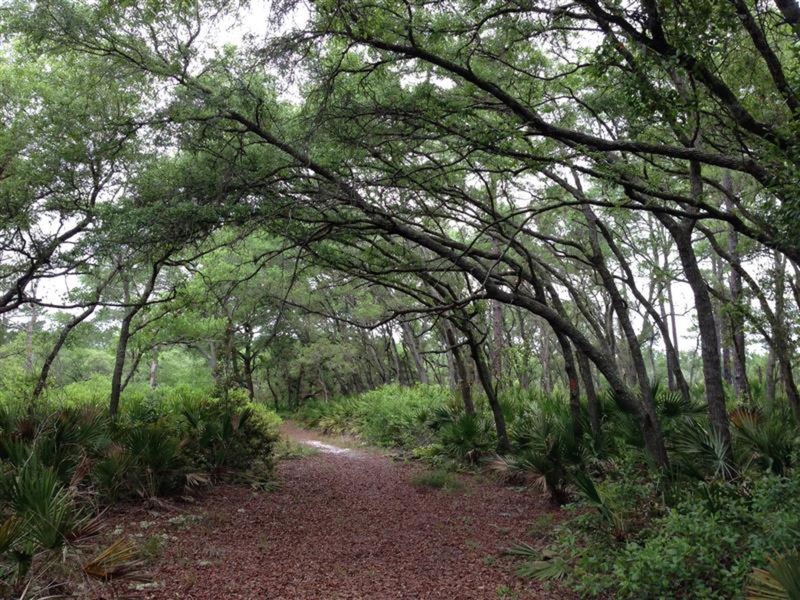 This part of the Florida Trail will take you past 3 primitive campsites: Shelter Camp, Blackwater Camp, and Sulphur Camp. 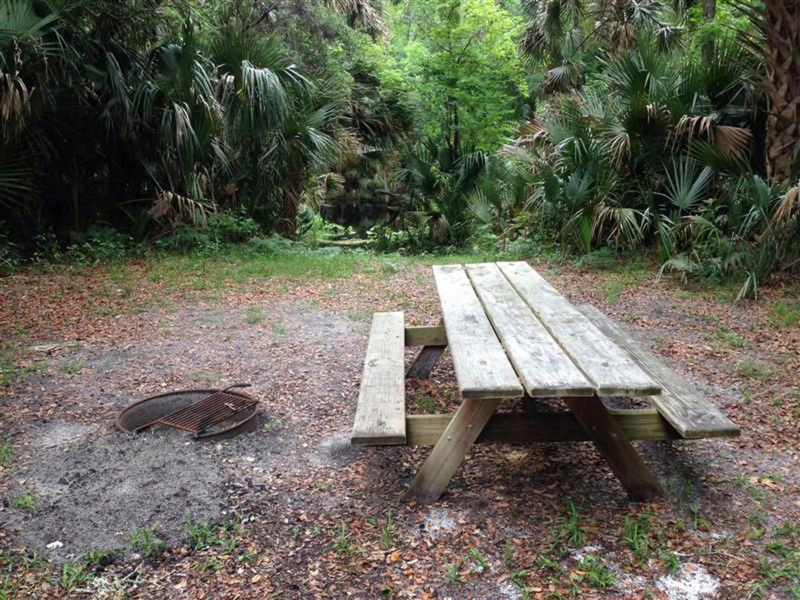 Each campsite offers a fire ring and picnic table. Shelter Camp, as the name suggests, includes a shelter with roof and platform for sleeping. Shelter Camp is located near the Bear Pond Trailhead and the other two campsites are located further north. 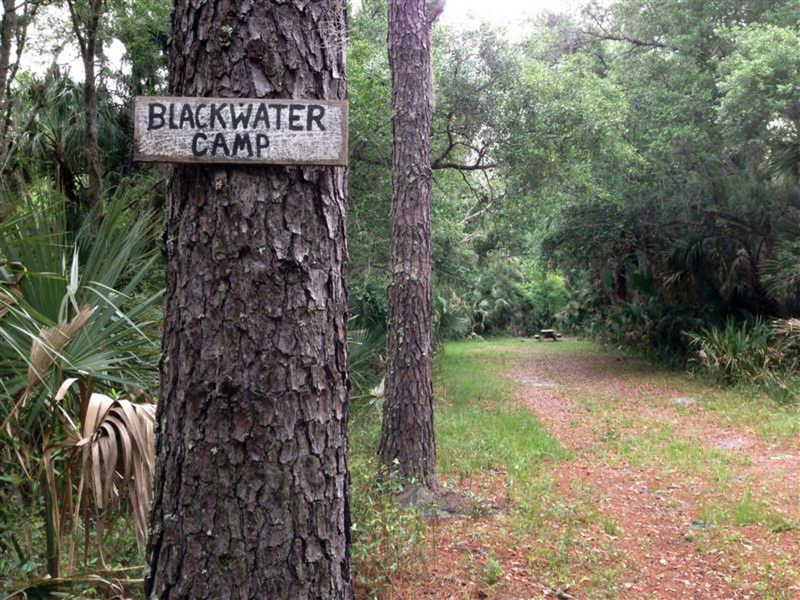 Blackwater Camp is next to Blackwater Creek, while Sulphur Camp is near Sulphur Run. In addition to the campsites along the Florida Trail you’ll also have the option of camping at the other sites throughout the forest. These campsites require a reservation and permit before use. Moccasin Springs Camp is located next to the Blackwater Creek and has enough room for 5 people. Oaks Camp and Jumper Camp are larger and located next to open fields. Due to this, they can accommodate up to 20 people. These larger sites are also accessible by forest roads. 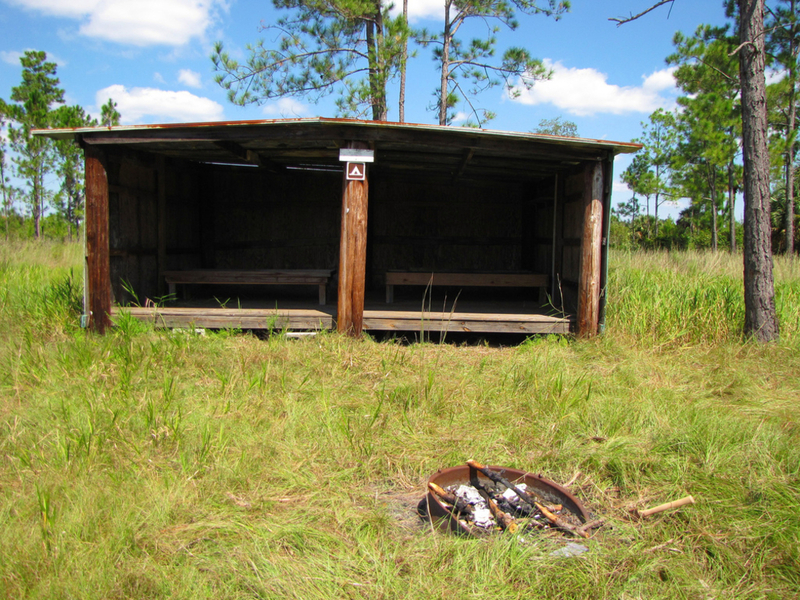 Anyone who enjoys primitive camping in Florida will have a great time at Seminole State Forest. Kids will have fun exploring the trails and areas of the forest. While adults will enjoy the peace and quiet of the woods. Keep in mind that due to the primitive nature of the campsites only Oaks Camp has a restroom nearby. Parking is available at both the Cassia and Bear Pond Trailheads. Each trailhead includes enough parking for 8-10 vehicles and has a temporary bathroom. Make sure you call ahead for your access permit before arriving. Water access is very limited in this area, be sure you bring enough for the duration of your trip. If you are camping near Shark Tooth Spring you may be able to refill your water there. As always bring a filter and sterilize the water before consuming. Make sure to check the forecast before heading out to Seminole State Forest. Most of the forest and trails stay relatively dry, but some sections in the pine scrub area towards the south can develop large puddles. Also, take precautions against the heat and sun which can be intense in the summer months. Besides the weather concerns, make sure you bring enough bug spray. The ticks can be an issue in this area. Spray yourself with bug spray before entering the forest and continue to reapply during your camping trip.